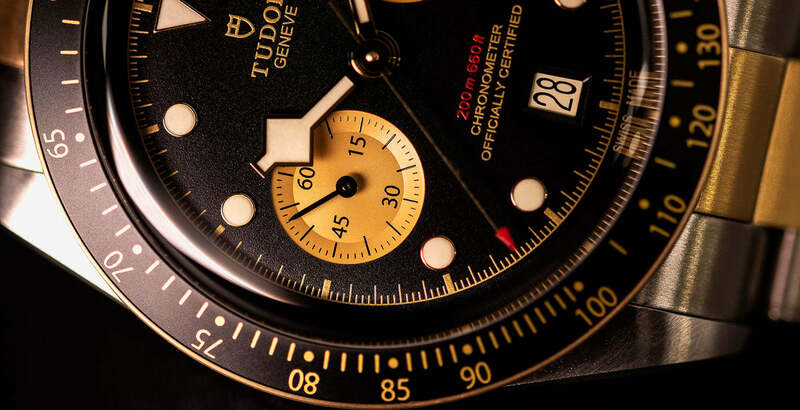 A first look at the latest Tudor releases from Baselworld 2019. You need to see these! We recently talked about the head-turning, double take maker that is the Tudor Black Bay P-01 Diver. 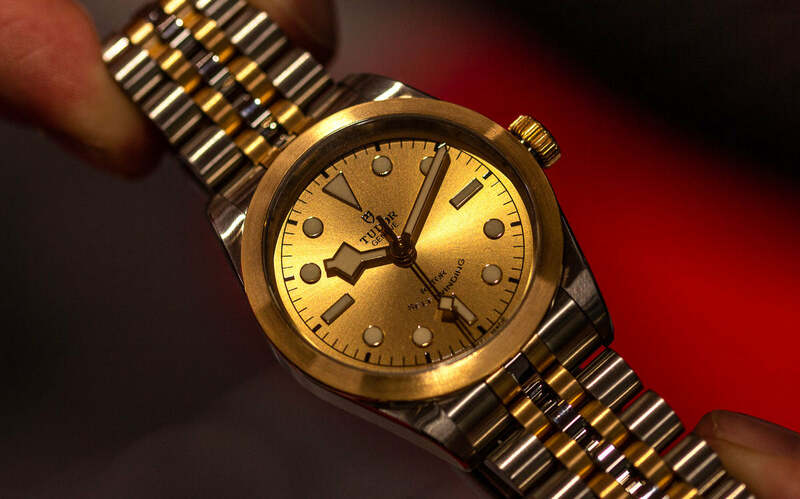 Although creating a lot of conversation around Tudor this Baselworld 2019, this wasn’t the only release from the brand. 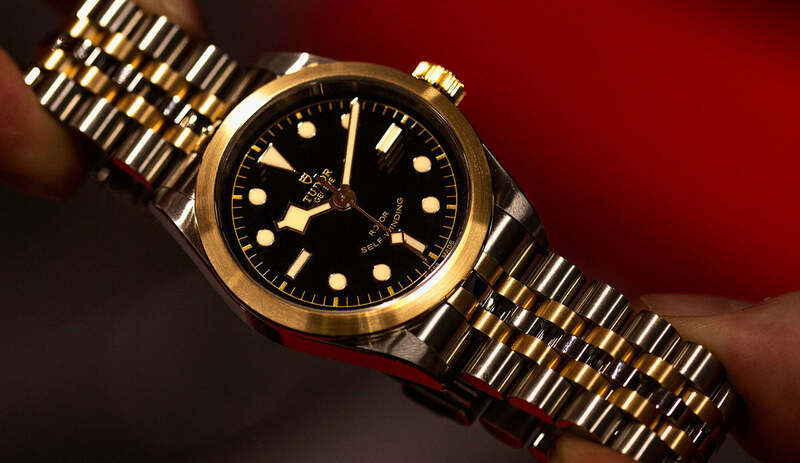 The Tudor Bronze Black Bay. This model is a brand new bronze edition to the Black Bay lineup, actually taking and replacing the place of the old Bronze model with the brown bezel and dial. Now we have a new slate grey offering. The 3,6 and 9 still remain, the larger size at 43mm is also present and of course the snowflake hand. The dial is also slightly lighter towards the middle. Interestingly, the bronze on this watch rather than going a green colour with patina will go more of a brown chocolate tone. A nice compliment to the grey. 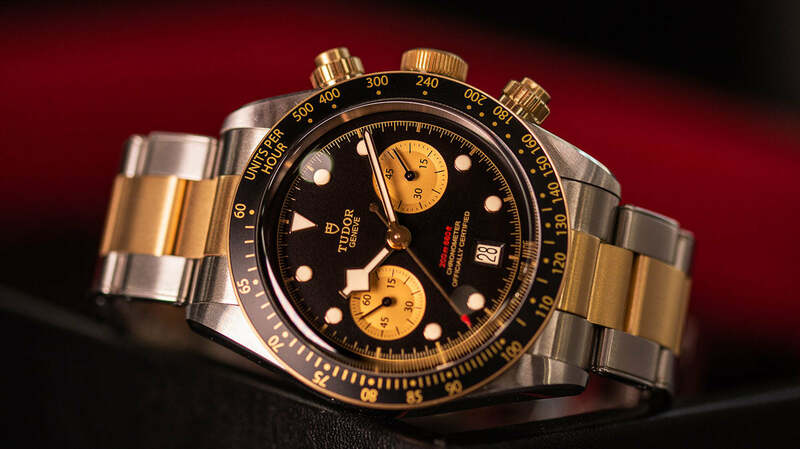 The Tudor Black Bay Chronograph S&G. Next up is a model which we first saw introduced in 2017. Originally it was introduced in just stainless steel, and now we have it in 2 tone. Tudor’s overall marketing for this release is heavily focused on the motorsports relationship behind chronographs. The two-tone on the watch isn’t all solid gold, however. The fixed bezel is solid, and the first centre link of the bracelet is. However, the bracelet and crown is capped in gold. The bezel is also complete with a black anodised aluminium insert. The Tudor Black Bay S&G 32, 36 & 41. Finally, we have the new 32, 36 and 41 Black Bay. Tudor continues to build on their slightly smaller more simple Black Bay models this year with the introduction of a new colour way and bracelet to the range. Now available in a fully brushed two-tone, these new options add a touch of class and elegance to a sporty range. Two dial options are available on launch, a black lacquered dial and a satin brushed champagne. 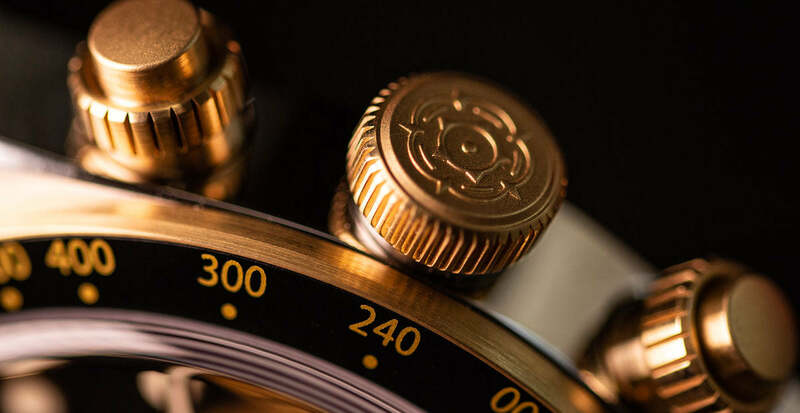 Like the new Chrono, the same mixture of solid gold and capped gold can be found throughout the watch. For me, the black dial 36 feels great. These additions add a lot more structure to this range of watches for me, with the all brushed finishes looking nice and subtle. 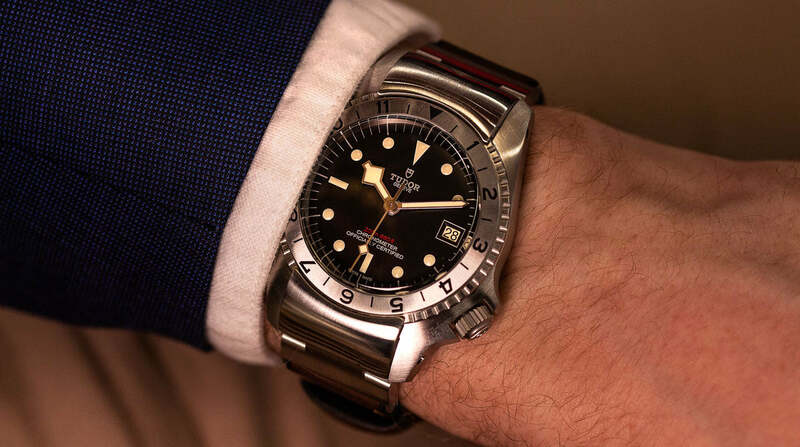 The Tudor Black Bay P01 Diver. Many opinions online are along the lines on it being a very odd looking, not very wearable watch that looks out of place. After a good 10 - 15 mins with the watch I'm pleased to report that is simply not the case. The watch genuinely feels remarkable wearable on the wrist. Sure, it may look a little out of place with my navy blazer, however, the construction, the strap, the dial and mainly the bezel lock is a pleasure to look at. Locking and unlocking the bezel feels so intuitive. After locking and unlocking the bezel once, it felt like the most natural process. If you're in the market for a unique well built Tudor watch with a crazy look and a great story behind it, this is the one for you. Even if you're not interested in the watch, check it out before passing judgment, you won't regret it. An interesting year for Tudor. For many, it will have been a huge hit, for others not so. Many of us were expecting a Tudor Submariner. However, Tudor decides to build on their sports watches offering in a slightly different way. 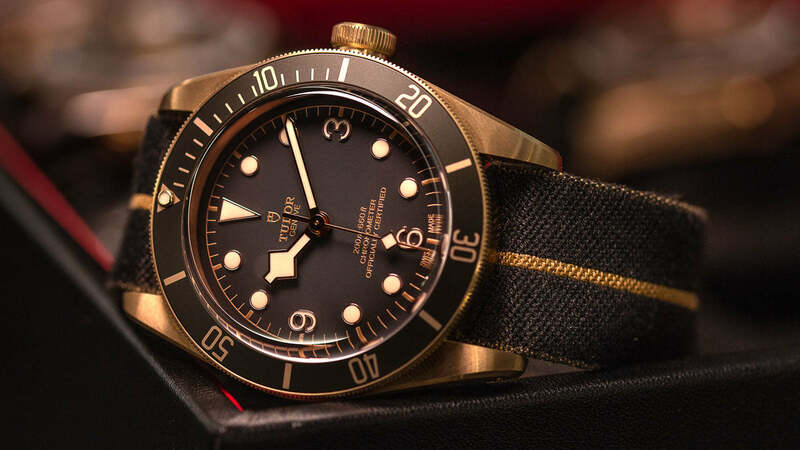 Baselworld 2018 was such a strong year for the brand (the Black Bay 58 Dive Watch and Black Bay GMT stole the show for many) so I think Tudor was always going to struggle to beat it this year. 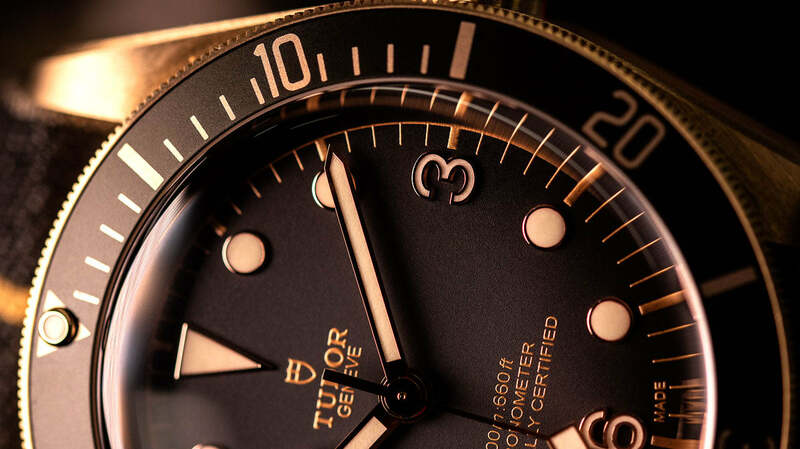 Personally, the releases from Tudor may not have been my pick of the bunch beforehand, however seeing the watches at Baselworld in person has helped me understand the releases a lot more. Stay tuned to the Online Magazine for more Baselworld 2019 coverage as well as detailed hands-on time with the watches in the future! You are doing a fine job. Keep at it. Always a pleasure to read.